This week’s Friday post is a quick update to all of the social media that I am using. Dru’s Misadventures has been going strong this year and in the past year we have added a couple new forms of social media. Here is a rundown of what I am on and how to keep in touch with me. There are links on the side bar as well. HinoMaple has had its presence on Facebook for a few years now. I have been updating it and most of the updates are pushed straight to Twitter as well. If you want to see extra photos from the blog posts, you can find them there. You can also get information about Japan whenever I find something interesting. HinoMaple started its Google+ page this year. I am working hard to make it just as good, if not better than Facebook. I am sharing more interesting stories on G+ than Facebook because it is easier to do so. If you don’t use Google+, that’s okay as the most important things are also posted to Facebook, but you can get a lot of interesting information on the G+ page as well. There is a lot of exclusive information on G+ as there is no Twitter integration yet and many of the photos are larger on Google+. 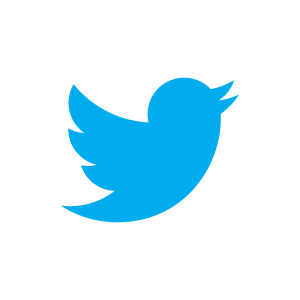 Twitter is the oldest social media that I have been using for this blog. It is primarily a collection of all of the news that hits the Facebook Page. The Twitter feed is the best way to keep on top of the news with Dru’s Misadventures and HinoMaple. It also collects most of my posts from Instagram as well, but none of my posts from Google+ at this moment. At the end of last year, I joined Instagram. It’s a great way to see what I am doing from day to day. From photos of festivals and events around Japan to seeing my cute dog, you will be able to see everything that I am doing. I admit there are lots of pictures of food, but I try to balance it out with festivals and other interesting things I see around Tokyo and Japan. You can see almost all of the photos on Twitter as well, but you won’t be able to see it on Google+ or Facebook. If you didn’t click on the links above, here are the hard links to make it easier for you. You can just cut and paste or search for me. This entry was posted in Dru's Life and tagged dru, Dru's Misadventures, Hino Maple, HinoMaple, Social Media by Dru. Bookmark the permalink. I’m enjoying Google+ so far. * Or do Canadians use the American “swap”?